The best of the best luxury hotel destinations are coming in 2018. It’s going to be an amazing year for new hotel openings in 2018. Some of the world’s most iconic properties are set to re-emerge after staying quiet throughout extensive renovations, while hot new properties will change the landscape at some of the most popular tourist destinations. Here are the hottest, and most anticipated, luxury hotel openings of 2018. When the West Coast outpost of New York’s buzzy NoMad hotel opens in January, it will bring with it a huge culinary talent to Los Angeles – chef Daniel Humm of Eleven Madison Park fame (the restaurant currently occupies the top spot in the influential World’s 50 Best Restaurants 2017 ranking). The LA outpost will breathe new life into the historical 20th century Giannini Building, which served as the headquarters for The Bank of Italy. All 241 rooms including 31 suites, are designed by Jacques Garcia and draw inspiration from the lobby’s fully restored gold and blue Italianate ceiling. The hotel will also add another rooftop pool destination and gathering space to the city’s booming downtown renaissance. This March, Swire Hotels’ House Collective will bring its chic sensibilities to the heart of Shanghai. With a refined sense of luxury akin to its sister properties, its 111 studio-style rooms will feature bold lines, pops of color, and accents of Chinese artwork to create an oasis in the urban city. Its spa will have a heated indoor pool, Hypoxi room, and a mix of scheduled wellness classes such as group yoga with Lululemon. The Middle House Shanghai will also offer three dining venues: a contemporary European café, an Italian eatery, and a Chinese restaurant. The Caribbean island of Grenada is getting its first true five-star resort this spring with the debut of Silversands Grenada, a modern retreat in all white set on the southwestern coast’s Grand Anse Beach. Comprising 44 suites and nine residential villas (the latter of which are currently on the market, with prices starting at $7.5 million), the Silversands will bring such luxuries to the isle as private swimming pools, an expansive spa with a hammam and sauna, and a vibrant social scene reminiscent of St. Barts. 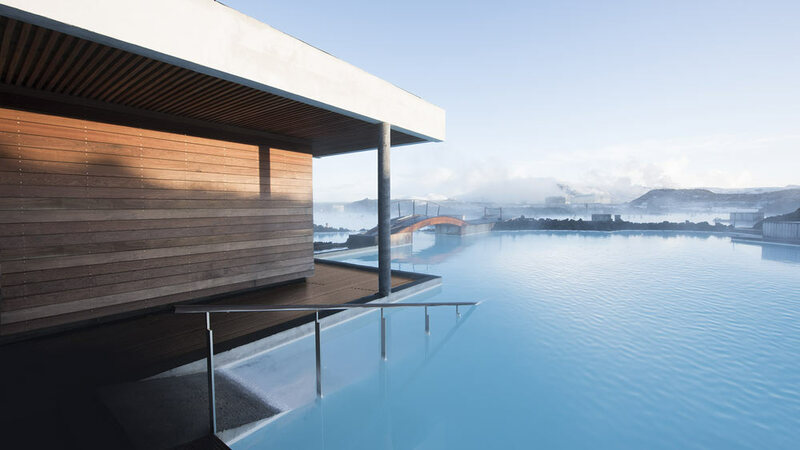 The Blue Lagoon is one of Iceland’s signature tourist attractions that is set to open its first on-site luxury hotel in April 2018, which will offer its guests a more exclusive and private spa experience. Built into an 800-year-old lava flow, all 62 rooms at The Retreat will feature floor-to-ceiling windows, offering sweeping views of the geothermally-heated, milky-blue, mineral-rich waters and Iceland’s dramatic landscape and ever-changing skies. 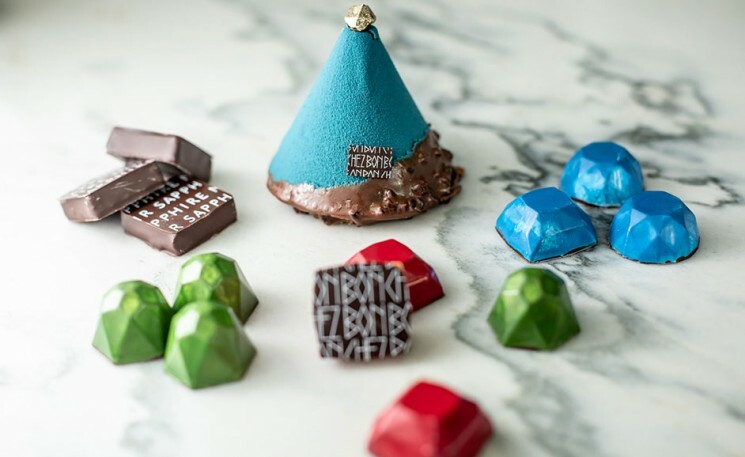 Guests will also have access to a new subterranean spa, and seven-course dining destination that will serve Icelandic cuisine with local ingredients. After being delayed due to the catastrophic Hurricane Maria, the Serafina Beach Hotel is set to make its debut in March 2018. The inaugural lodging concept from the eponymous New York-based restaurant group is distinguished by its coastal-meets-contemporary design and enviable locale in the trendy Condado district, just five minutes from Old San Juan. Cool hues and sleek decor flows throughout—from the open-air lobby and breezy guest rooms to the eateries (aMare or PiñaCo) and swanky, infinity-edged pool deck—creating a hip beachy vibe. After shuttering in 2014 for a major facelift, one of Paris’s most legendary landmarks, Hotel Lutetia, is set to reopen this spring and start a new chapter in its century-old history. Originally built as a luxury sister property to Paris’s oldest department store, Le Bon Marche in 1910, the hotel on the Left Bank boasts a fabled past with clients that include Ernest Hemingway, James Joyce, Pablo Picasso, Henri Matisse, and Josephine Baker. When it reopens, all 184 rooms including 47 suites and two penthouses will be updated with contemporary redesigns. The Lutetia Brasserie will also reopen under the supervision of three Michelin-starred chef Gerald Passedat. Hollywood star Robert De Niro, film producer Meir Teper and chef Nobu Matsuhisa’s global luxury lifestyle brand Nobu Hospitality is adding a new property in Barcelona with a multi-million euro refurbishment of the Gran Hotel Torre Catalunya. A signature Nobu restaurant, with 360-degree rooftop views of the city, will sit atop 250 luxurious rooms and suites, designed by architect David Rockwell. When Ritz-Carlton launched their Reserve concept, it was the perfect answer for fans of the storied brand in search of smaller, one-of-a-kind resorts that captured a sense of place. Next summer, the fourth addition to the prestigious portfolio will come in the form of Zadún in Los Cabos, Mexico, featuring 115 suites and villas, many with their own private plunge pools. It will also feature one of the destination’s largest spas in addition to two golf courses and a desert botanical park. Gone are the days when this tropical beauty was regarded as a spring break spot. New Mexico’s legendary Bishop’s Lodge will emerge from a spectacular transformation this summer when it reopens—just in time for its 100th anniversary—as a member of the exclusive Auberge Resorts Collection. The Santa Fe property nestled on 317 acres will maintain its luxury ranch vibe, with traditional New Mexico–inspired décor and the addition of new glamping tents. It will also deliver some of the region’s finest adventures, from fly-fishing in the resort’s private stream to horseback riding through Santa Fe National Forest. The Raffles Hotel Singapore is a historic landmark in the republic. Declared a National Monument by the Singapore government a century after its opening in 1887, the Raffles Singapore is an iconic landmark that will re-open with new suite categories for short and long stays, modernised amenities, and refreshed dining concepts and meeting spaces. As the birthplace of the famous Singapore Sling cocktail, the hotel will also offer a range of new experiential packages that include master classes on how to make Singapore’s national drink, epicurean classes, wine workshops, along with wellness classes for both mind and body. The Raffles Singapore re-opening is set for the second half of 2018. The acclaimed wellness retreat Miraval will make its first foray outside of Arizona this November with the debut of Miraval Austin. 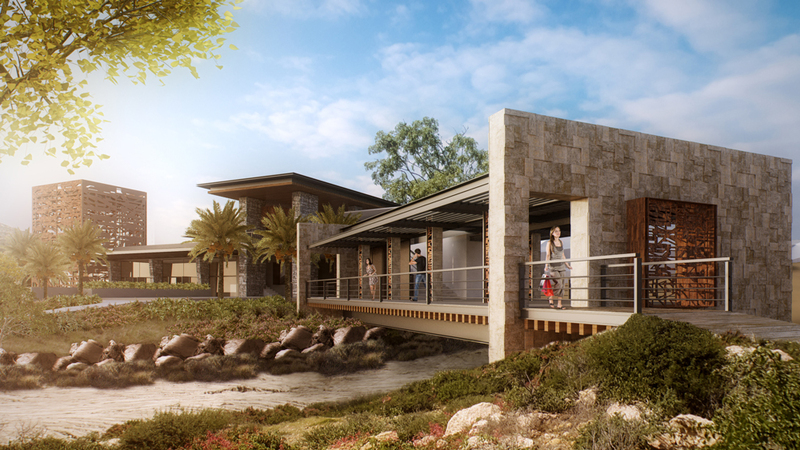 Set on 220 acres and featuring 170 rooms envisioned by Clodagh Design, the spa resort will bring next-level health and wellness to the Texas Hill Country, combining its signature fitness, spa, and medical programs with state-of-the-art facilities, including an equestrian center. Set within the Vunabaka development, the new Six Senses Fiji will be one of nine Six Senses properties opening in 2018. The 26 bure, 60 residential villa resort will be 100 percent solar powered and the first micro grid in the world to use Tesla batteries. Hotel and real estate magnate Ian Schrager is making big moves next year with the launch of seven new Edition properties worldwide, including in major cities like Barcelona, Bangkok, and Los Angeles; but Abu Dhabi will be a hot destination next year thanks to the recent opening of the Louvre in the UAE’s capital. Opening late 2018, the waterfront hotel will have 198 guest rooms, a number of food and beverage outlets including a tea lounge and gourmet market, two pools, and even a three-story nightclub. Opening in February, the Four Seasons Resort Seychelles at Desroches Island claims 933 exclusive acres filled with miles of white-sand beaches and leaning palm trees. Seventy-one villas, suites, residences, and bungalows all come with their own swimming pools, which spill out onto the private beach. Other highlights will include an anti-gravity yoga pavilion, world-class fishing excursions, and an on-site Aldabra giant tortoise sanctuary.